An exciting game between Top Four teams was played in Chimaltenango. Leader ELOHIM faced 4th placed Club Force. Host ELOHIM (9-0) smashed guests from (6-4) 76-57. ELOHIM outrebounded Club Force 46-27 including a 35-22 advantage in defensive rebounds. The best player for the winners was naturalized Salvadorean guard Ricardo Amaya (191-84) who had a double-double by scoring 19 points, 12 rebounds and 4 assists. Center Bernie Diaz (200-81) chipped in 16 points and 15 rebounds. ELOHIM's coach Estuardo Arriola used a ten-player rotation which allowed the starters a little rest for the next games. 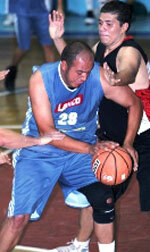 Center Helmut Esquivel (196-0) produced 11 points and 8 rebounds for the guests. Undefeated ELOHIM have an impressive series of nine victories in a row. Defending champion maintains first place with 9-0 record. Club Force at the other side keeps the fourth position with four games lost. The game in supposed to be also worth to mention about. Second ranked USAC (8-1) played at the court of 5th ranked Vacasi Sport (5-5). USAC smashed Vacasi Sport 77-42. The former international swingman Miguel Gonzalez (187-90) orchestrated the victory with a double-double by scoring 21 points, 13 rebounds, 9 assists and 5 steals. Alex Juarez contributed with 20 points, 10 rebounds, 6 assists and 6 steals for the winners. Juan Ventura (-96) answered with 8 points and 9 rebounds for Vacasi Sport. USAC maintains second place with 8-1 record behind leader ELOHIM. Newly promoted Vacasi Sport keeps the fifth position with five games lost. Villa Nueva defeated La Villa in a road game 82-69. GMS was smashed by Amatitlan at home 78-103. Tencored won against You Bet on the opponent's court 60-52. The best stats of 11th round was 39 points (!!!) and 19 rebounds by Enrique Samayoa of Villa Nueva. The game between closely ranked teams ended with 9th ranked La Villa's (2-7) home loss to eighth ranked Villa Nueva (4-6) 69-82. Villa Nueva dominated down low during the game scoring 56 of its points in the paint compared to La Villa's 34. Villa Nueva had a 39-27 advantage in offensive rebounds. Forward Enrique Samayoa (193-82) orchestrated the victory with a double-double by scoring 39 points (!!!) and 19 rebounds. Guard Marcos Zetina (180-86) contributed with a double-double by scoring 13 points, 8 rebounds and 13 assists for the winners. Robert Rosales (-83) answered with a double-double by scoring 19 points, 14 rebounds and 5 assists and Jose-Alfredo Montenegro added 17 points, 6 rebounds, 4 assists and 5 steals in the effort for La Villa. Villa Nueva moved-up to seventh place, which they share with Pampichi. La Villa lost their third game in a row. They keep the ninth position with seven games lost. An exciting game between Top Four teams was played in Chimaltenango. Leader ELOHIM faced 4th placed Club Force. Host ELOHIM (9-0) smashed guests from (6-4) 76-57. ELOHIM outrebounded Club Force 46-27 including a 35-22 advantage in defensive rebounds. The best player for the winners was naturalized Salvadorean guard Ricardo Amaya (191-84) who had a double-double by scoring 19 points, 12 rebounds and 4 assists. Center Bernie Diaz (200-81) chipped in a double-double by scoring 16 points and 15 rebounds. ELOHIM's coach Estuardo Arriola used a ten-player rotation which allowed the starters a little rest for the next games. Center Helmut Esquivel (196-0) produced 11 points and 8 rebounds and Carlos Sandoval (-0) added 10 points, 5 rebounds and 4 assists respectively for the guests. Both teams had four players each who scored in double figures. ELOHIM have an impressive series of nine victories in a row. Defending champion maintains first place with 9-0 record. Club Force at the other side keeps the fourth position with four games lost. The game in supposed to be also worth to mention about. Second ranked USAC (8-1) played at the court of 5th ranked Vacasi Sport (5-5). USAC smashed Vacasi Sport 77-42. USAC held Vacasi Sport to an opponent 24.6 percent shooting from the field compared to 43.2 percent accuracy of the winners. USAC forced 22 Vacasi Sport turnovers and outrebounded them 54-31 including a 39-23 advantage in defensive rebounds. Their players were unselfish on offense dishing 21 assists comparing to just 8 passes made by Vacasi Sport's players. The former international swingman Miguel Gonzalez (187-90) orchestrated the victory with a double-double by scoring 21 points, 13 rebounds, 9 assists and 5 steals. Point guard Alex Juarez (175-93) contributed with a double-double by scoring 20 points, 10 rebounds, 6 assists and 6 steals for the winners. Juan Ventura (-96) answered with 8 points and 9 rebounds and Allan Marroquin (-0) added 11 points in the effort for Vacasi Sport. USAC maintains second place with 8-1 record behind leader ELOHIM. Newly promoted Vacasi Sport keeps the fifth position with five games lost. No shocking result in a game when fourth ranked Amatitlan (6-3) smashed on the road 10th ranked GMS (2-8) 103-78. They outrebounded GMS 56-37 including a 39-20 advantage in defensive rebounds. 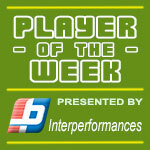 Walter Ramirez (-97) orchestrated the victory with a double-double by scoring 34 points (!!!) and 13 rebounds. Josue Reyes contributed with a double-double by scoring 20 points and 14 rebounds for the winners. Guard Anthony Guerra (178-97) answered with 22 points, 6 rebounds and 7 assists (was perfect 9-for-9 from the free throw line !!!) and Edson Rodriguez added 15 points and 9 rebounds in the effort for GMS. Five Amatitlan and four GMS players scored in double figures. GMS's coach gave up on the game allowing to play ten players seeing no chance for a win. The victory was the fourth consecutive win for Amatitlan. They moved-up to third place. GMS at the other side keeps the tenth position with eight games lost. Very expected game in Guatemala where 11th ranked You Bet (1-7) was defeated by seventh ranked Tencored (4-4) 60-52. Strangely You Bet outrebounded Tencored 51-39 including 17 on the offensive glass. 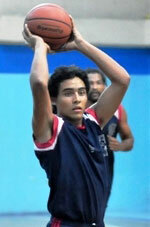 Forward Alejandro Carrillo (192-88) orchestrated the victory by scoring 13 points and 6 rebounds. Ricardo Sopalda (-81) contributed with 13 points and 7 rebounds for the winners. Four Tencored players scored in double figures. Tencored's coach allowed to play the deep bench players saving starting five for next games. Naturalized American power forward Freddy Fernandez (197-92) answered with a double-double by scoring 25 points and 12 rebounds and Emmanuel Zinot added 10 points and 13 rebounds in the effort for You Bet. The victory was the third consecutive win for Tencored. They moved-up to sixth place. You Bet at the other side stay at the bottom position with seven games lost.